My Ubuntu cloud server has left only 900MB of disk space. I'll just empty the directory /tmp and wondering if there is any other location to clean up. That can clean out a lot of guff (old kernels, etc) that have been replaced. You can do a similar thing in Synaptic (load it up and select the status button and then the Auto-removeable option). To remove all stored archives in your cache for packages that can not be downloaded anymore (thus packages that are no longer in the repository or that have a newer version in the repository). show top 10 biggest subdirs in the current dir. the apt-get remove command supports wildcards, so you can do apt-get remove linux-image 3.0. * linux-headers-3.0. * for example, to get rid of many at once. Make sure you don't kill remove current kernel of course! And maybe keep one or two old version, just in case... but not 10 or 20! Do not forget to Empty Trash. I really recommend you the program BleachBit, which cleans everything on Ubuntu. Display the N largest packages on the system (default 10). Use status-file instead of the default dpkg status file. Attention: If you've just upgraded the kernel, reboot before deleting the older versions! read that thread to be safe not to remove needed kernels with this command! If you use UFW, check the log folder. On one of my machines, UFW was generating 8Gb of logs in a couple of days. Try using BleachBit (located at sourceforge). It is a great program. the basic idea is that it quickly frees up disk space and removes a lot of the junk that is hidden in the system. There are about 70 applications that it can recognize and wipe clean. There is also the ability to use it to "wipe" the free disk space. I think of it as CCleaner from windows only for linux. 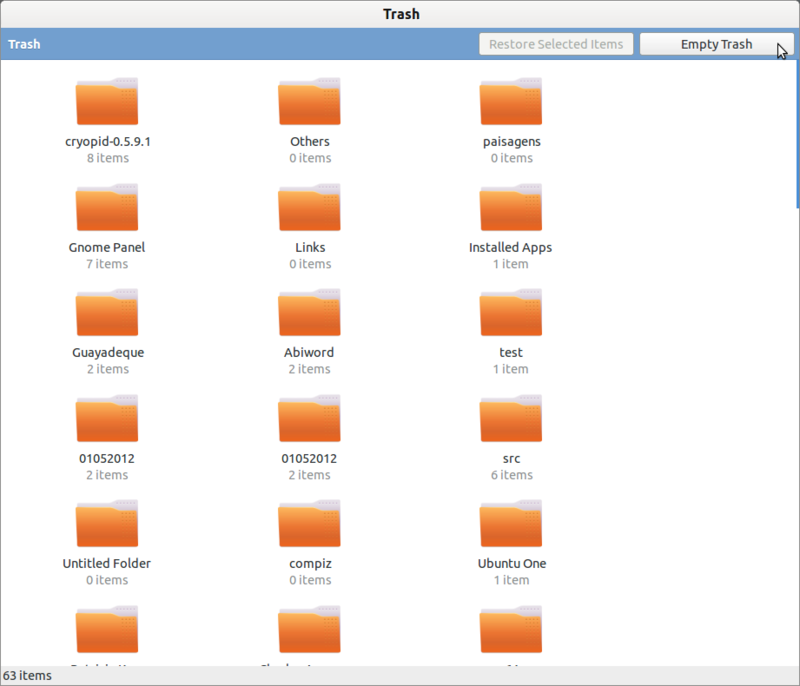 First, there is a tool for listing all big folders and files. Just type 'Baobab' into the launcher. By removing folders and files you don't need you get more space. The fourth step is to remove old Kernel entries. You can do this by installing and opening Synaptic. In Synaptic, search for the old Kernel entries (every Kernel entry that is displayed in GRUB except the newest) and remove it. Important: Deleted cache cannot be restored! Replace /dev/sda1 with the file system or folder/file you want. Note that for defragmenting a device (such as HDD) you need root privilegs, but not for your own files. The '/tmp' directory should never be cleaned up manually unless absolutely necessary (ie: a closed application didn't clean-up after itself). You can search where space might be filling up using the 'du' command; usually places of interest are inside '/var'. To name two usual suspects '/var/log' and '/var/cache'. Though I've had some users who install a backup utility and never realise that it creates GBs of incremental backups in '/var/backup' that build up over a week or month to fill the entire disk space. it cleans all *.deb that are downloaded to installation apps. If you have already deleted a lot of junk but disk space does not seem cleaned just reboot ubuntu. Or if you don't want to reboot just run command like in similar question. When I need make more free space on servers I use this command. It find all files bigger then 50 MB and "du -h" make better list of files and "sort -n" after pipe make list numericcaly sorted by file size. ( yours older versions ). It gave me 600mb freed space. Not the answer you're looking for? Browse other questions tagged server or ask your own question. How to increase disk space? How do I clean up my “home” drive or “/” to get some free space? How to find large unwanted packages to uninstall to free space? how can i clean up all the extra files on my computer running ubuntu 13.10? Which folders I can delete to free HDD space in Ubuntu? How to fix my root filesystem being full? How do I preseed a disk to 50% / and /tmp? Is it safe to delete btmp from log on ubuntu 14.04 rackapace server? Disk usage increasing over time. Why? And how to fix?